Whether it’s a balcony garden or rooftop garden, urban garden layouts can actually be quite versatile so you don’t have to live out in the country to enjoy growing your favorite plants and veggies. With our urban gardening ideas, you’ll find tips for starting an urban garden of any size. Learn how to grow urban vegetable gardens and care for your plants in the city, even in an apartment. You, too, can enjoy home grown veggies. So keep reading to find all the information you need to create fabulous urban garden layouts anywhere. A relatively new phenomenon, agrihoods are residential areas that incorporate agriculture in some way, be it with garden plots, farm stands, or an entire working farm. Click here to learn more about what makes an agrihood work. Planting on walls is only one way to garden upward, but it is a good use of an already existing structure and there are tons of ways to make it really pop. Here are some great ideas on how to create outdoor wall gardens. Click this article for more info. Trees can be a fantastic garden element. They?re eye catching and they create a real sense of texture and levels. But if you have a very small space to work with, especially an urban garden, your choice of trees is somewhat limited. Get help with that here. A hell strip is that forlorn strip between the sidewalk and the street. With a little advance planning and a careful choice of hell strip perennial plants, you can turn the hell strip into an urban oasis. Click here for examples of suitable perennials for hell strips. Living in a city can put a real damper on gardening dreams. There?s one excellent growing location that?s usually native only to cities: fire escapes. Learn some fire escape garden tips and fire escape garden ideas in this article. You love to putter about in your garden but it?s even more fun when you?re part of a group of passionate gardeners who unite to trade information, swap stories and give each other a hand. Why not think about starting a garden club? Get started here. We may all have dreams of big, expansive gardens, but the reality is that most of us simply don?t have the space. 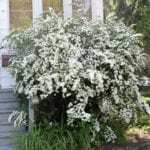 Find tips and information about plants for small spaces and how to make a garden with little space in this article. Community gardens take a decent amount of money to get off the ground, and you?ll probably need financial help in the beginning. Learn more about grant funding for community gardens and community garden fundraising ideas here. Volunteering for community gardens is often the perfect match for plant enthusiasts. Some municipalities have special programs to help. This article provides more information on organizing volunteers for community gardens. Now that your garden club or community garden is up and running with an enthusiastic group of avid gardeners, what?s next? If you?re stumped when it comes to ideas for garden club projects, this article will help. You can have flowers and fresh vegetables all summer long with urban window box gardens. But what do you do with it when winter comes? How do you keep it from looking drab? Learn more here about window flower boxes in winter. Urban gardening can be a great experience for the whole family, but it?s not without its problems. Learn more about common problems urban gardeners experience in this article so you?re ready if your garden stumbles upon these issues. If you garden in an urban area, space isn?t the only thing getting in your way. Limited windows and shadows can seriously cut down on essential light. Learn more about plants for low light gardens in urban areas here. Urban gardening is often synonymous with small space gardening, and urban gardening in the winter is no exception. Check out this article for more information on how to overwinter an urban garden. Many homeowners dream of creating ornamental urban gardens to fill the gap, but are not sure about urban garden design. However, the basic concepts are easy and you can find tips and ideas in this article to help get you started. Whether it?s an apartment balcony garden or a rooftop garden, you can still enjoy growing all your favorite plants and veggies. This Beginner?s Guide to Urban Gardening will help get you started. Click here for more info. Urban agriculture runs a higher risk of soil contamination. This article discusses urban gardening in potentially bad soil and managing contaminated soil in city gardens. Click here to learn more about urban soil contamination. A hugelkultur system is an excellent way to harvest and recycle any woody materials around the garden. What is a hugelkulture bed? It is a gardening method that starts out with a pile of logs and branches. Click for more hugelkulture information. How do you begin to assemble all the tools for urban gardens necessary for starting a community garden? Learn about how to identify the requisite supplies for urban gardening in the article that follows. Good things come in small packages as the saying goes, and urban micro gardening is no exception. So what is micro gardening and what are some useful micro gardening tips to get you started? Click this article to learn more. Urban garden pollution is a serious problem that many enthusiastic gardeners don?t take into consideration. Before you plan your urban garden, take time to think about the many pollution effects in city gardens. Click here for more info. Urban gardeners battle the same set of pests and diseases that rural gardeners do with one wily addition - rats. What kind of rat control can be practiced in city gardens to deal with the urban garden rat problem? Find out in this article. Using vacant spaces as gardens is by no means a new idea; in fact, it?s steeped in history. Perhaps, there is a vacant lot in your neighborhood that you have often thought would be perfect for a community garden. How to garden on a vacant lot? Find out here. Columnar fruit trees are basically trees that grow up instead of out. Because the branches are short, the trees are well-suited to small gardens in urban or suburban environments. 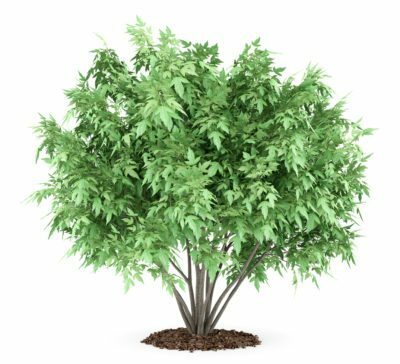 Learn how to grow these trees in this article. Plants near any populated sidewalk, street, easy to access pots and community garden plants can be damaged or preyed upon. Some tips on how to protect plants from strangers may help protect your garden space. Read more here. Balcony gardens in winter do require some extra TLC to ensure their continuing health for the next growing season. Read this article to learn more about balcony winter care for plants. Community gardens are great for those with little space. Read here for more community garden information and what to plant in a community garden plot. Click this article to learn more. Many plants grow exceptionally well in small spaces using biointensive techniques. So what is biointensive gardening? Read this article to find out more about this easy form of balcony gardening. Living in an apartment doesn?t have to mean living without plants. Gardening on a small scale can be enjoyable and fulfilling. Learn more about apartment gardening in this article. Allotment gardens allow city and apartment dwellers to enjoy the benefits of gardening and foster a spirit of community. The benefits of community gardens are many and can be found in this article. Recycled garden furniture booms as urban communities vow to go green. Learn more about using furniture for the garden in the following article and begin your own recycling project today. 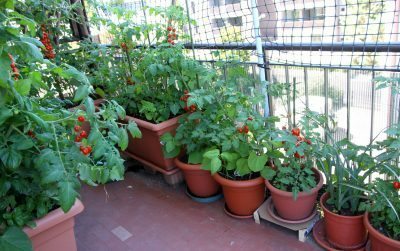 Growing a vegetable garden on a balcony is not all that difficult, and you can truly have a fruitful balcony vegetable garden. This article will help get you started, so click here now. Even if you're an urban gardener with little space, you can still benefit from growing a city vegetable garden. Use the following information to help get you started. Click here to get started. A gardening law can cause your best laid plans to go head to head with local law enforcement, so it is important that you check to see if your locality has any laws that affect your yard. This article will help. What happens if you're an urban gardener lacking enough space for a vegetable garden? Consider growing them in containers. Find out more in this article and make the most of your limited space. 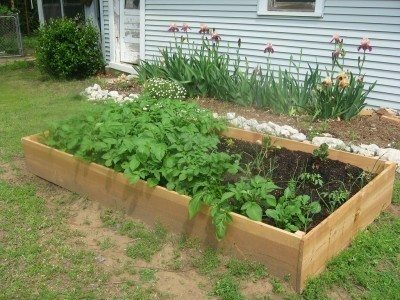 Why are no-dig garden beds becoming so popular? It?s because they?re better for the environment, better for your plants, and so much easier on your back. It?s a win-win-win. Learn about no-dig raised beds for urban gardeners in this article. Whether you want a refreshingly green place to sit or a productive edible space, you?d be amazed what you can do with a small urban patio. This article will help with tips and information for creating an urban patio garden. Rock gardens are perfect for small, barren spaces because they welcome plants that are used to just such an environment and make for a different, but still brightly floral, use of space. Click here to learn about city rock garden design. If you enjoy gardening but find yourself limited by space, rooftop gardening can provide an excellent alternative, especially for city dwellers. For help with getting started, read this article. While gardening in the city may not be as easy as stepping outside into a fertile backyard, it?s far from impossible and in some ways even preferable! Click this article to learn more about creating an urban garden. Gardening in the city can be very different than in surrounding rural areas. Learn more about those differences in this article so you can have your own city garden. Click here to learn more. In this world of increasing living costs, a backyard suburban garden can provide a family with fresh, delicious, healthy vegetables, fruits, and herbs. Learn more these gardens in this article.